We have prepared the preliminary version of the book of abstracts of the conference. You can download it from this link and send us your corrections. 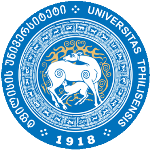 ● Mornings sessions (invited lectures): Georgian National Academy of Sciences, Rustaveli Avenue 52. WEB: http://science.org.ge/new/index.php/en/. ● Afternoons parallel sessions: Main administrative building of Ivane Javakhishvili Tbilisi State University, Ilya Chavchavadze, Avenue 1, WEB: https://tsu.ge/en/. Registration from 9:00, July 5 at the National Academy of Sciences, III floor. 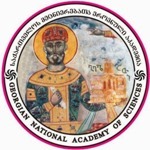 Opening ceremony at the National Academy of Sciences, V floor, Conference Hall, on July 6 at 9:00. Travel information: Tbilisi can be reached by airplane from the most of big airports of Europe, Turkey and former Soviet republics. Please browse the WEB http://www.tbilisiairport.com/en-EN/. From the Airport Tbilisi: Regular buses stop at the bus station in front of the Arrival hall. Municipality Bus #37 serves the route -Airport-Tbilisi city. It stops near Hotel Irmeni (Metro “Avlabari”), at Rustaveli Avenue (near Georgian National Academy of Sciences) and terminates at Railway station. One way fee is 0.50 GEL. Working hours - from 07:00 to 23:00. One way fee for a yellow mini bus is 0.80 GEL. Taxi service at Tbilisi International Airport is available outside the terminal, just at the curbside of the Arrival Hall and provides 24 hour service to the passengers. The journey time to the city centre takes 20-30 minutes dependent on traffic. Taxi fee is 25-30 GEL from the airport to the city center (Toyota taxi). Hotel Irmeni: can be reached from the airport by the Municipality Bus # 37 (fee 0.50 GEL) or the Toyota Taxi (fee 25 GEL). Details about hotel see on the WEB www.irmeni.ge. Tbilotel: can be reached from the airport by the Toyota Taxi (fee 30 GEL). Details about hotel see on the WEB www.tbilotel.ge. There is a list of Banks and Currency Exchange Offices available at Tbilisi Airport, in the departure & arrival hall. On July 29 the exchange rate is approximately 1 USD = 2.24 GEL, 1 Euro = 2. 50 GEL. From the Central Railway Station: by metro 2 stops to the Rustaveli Station (beginning of Rustaveli Avenue, 150 Meter from the National Academy, and 4 stops to the “Avlabari” station (near hotel Irmeni). From Railway station there are many buses to Rustaveli Avenue which stop in front of the National Academy. Between conference cites: There are many Municipality Buses commuting between conference cites, the National Academy of Sciences and Main administrative building of Ivane Javakhishvili Tbilisi State University, for example, Municipality Buses # 61, 87, 88. The distance is moderate, 3 stops in each direction. Sciences): Municipality Bus # 37, 46 and yellow mini-bus #2 (stop in front of Metro Station “Avlabari”). From hotel “Tbilotel” to Rustaveli Avenue (near Georgian National Academy of Sciences): Municipality Bus # 14 and yellow mini-bus #72 (stop at Shartava street). From Tbilisi state University to hotel “Irmeni”: Municipality Bus # 88 and yellow mini-bus #120 (stop – metro “Avlabari”). From Tbilisi state University to hotel “Tbilotel”: Municipality Bus #85 and then (the first stop of Kazbegi street) you must transfer on the bus #24 or yellow mini-buses ## 4, 44, 73, 128, 147 (stop – Zhvania square). Transport tickets: To ride Metro, Municipal Bus and Yellow mini Bus it is convenient to purchase a card at any metro station, which costs 2 GEL and is refundable (you keep the receipt and submit the card with receipt at the metro cashier before the departure to get back 2 GEL). You should put some money on the card (2-5 GEL) and each ride by a public bus or Metro will cost you 0.5 GEL. The remainder you get back when you surrender the card.